1. Replacement Touch Panel for Samsung Galaxy S7 Edge / G9350 / G935F / G935A. 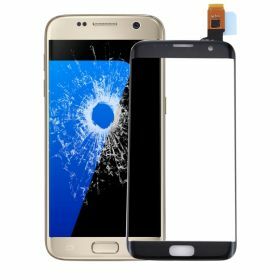 Screen replacement is very fragile product. We strongly suggest test before installation. Please simulates testing, which means mobile phone apart, (Touch Panel) connected audio cable and new replacement, power on, test finished. If test OK, please install it. If it can not show, please contact us at the very first time. And please do not force it to be installed in mobile phone. We will not be responsible once the screen is installed.